This article is about the general concept of a line of rulers. For other uses, see Dynasty (disambiguation). Not to be confused with Royal family or Royal household. The Qing dynasty was the final imperial dynasty of China, ruling from 1636 to 1912. A dynasty (UK: /ˈdɪnəsti/, US: /ˈdaɪnəsti/) is a sequence of rulers from the same family, usually in the context of a feudal or monarchical system, but sometimes also appearing in elective republics. Alternative terms for "dynasty" may include "house", "family" and "clan", among others. The longest-surviving dynasty in the world is the Imperial House of Japan, otherwise known as the Yamato dynasty, whose reign is traditionally dated to 660 BC. The dynastic family or lineage may be known as a "noble house", which may be styled as "royal", "princely", "ducal", "comital" etc., depending upon the chief or present title borne by its members. Historians periodize the histories of numerous nations and civilizations, such as Ancient Egypt (3100–30 BC) and Imperial China (221 BC–AD 1912), using a framework of successive dynasties. As such, the term "dynasty" may be used to delimit the era during which a family reigned, and also to describe events, trends and artifacts of that period (for example, "a Ming-dynasty vase"). The word "dynasty" itself is often dropped from such adjectival references (i.e., "a Ming vase"). Until the 19th century, it was taken for granted that a legitimate function of a monarch was to aggrandize his dynasty: that is, to expand the wealth and power of his family members. Prior to the 20th century, dynasties throughout the world have traditionally been reckoned patrilineally, such as under the Frankish Salic law. In nations where it was permitted, succession through a daughter usually established a new dynasty in her husband's ruling house. This has changed in some places in Europe, where succession law and convention have maintained dynasties de jure through a female. For instance, the House of Windsor will be maintained through the children of Queen Elizabeth II, as it did with the monarchy of the Netherlands, whose dynasty remained the House of Orange-Nassau through three successive queens regnant. The earliest such example among major European monarchies was in the Russian Empire in the 18th century, where the name of the House of Romanov was maintained through Grand Duchess Anna Petrovna. In Limpopo Province of South Africa, Balobedu determined descent matrilineally, while rulers have at other times adopted the name of their mother's dynasty when coming into her inheritance. Less frequently, a monarchy has alternated or been rotated, in a multi-dynastic (or polydynastic) system – that is, the most senior living members of parallel dynasties, at any point in time, constitute the line of succession. Not all feudal states or monarchies were/are ruled by dynasties; modern examples are the Vatican City State, the Principality of Andorra, and the Sovereign Military Hospitaller Order of Saint John of Jerusalem, of Rhodes and of Malta. Throughout history, there were monarchs that did not belong to any dynasty; non-dynastic rulers include King Arioald of the Lombards and Emperor Phocas of the Byzantine Empire. Dynasties ruling subnational monarchies do not possess sovereign rights; two modern examples are the monarchies of Malaysia and the royal families of the United Arab Emirates. The word "dynasty" derives from Latin dynastia, which comes from Greek dynastéia (δυναστεία), where it referred to "power", "dominion", and "rule" itself. It was the abstract noun of dynástēs (δυνάστης), the agent noun of dynamis (δύναμις), "power" or "ability", from dýnamai (δύναμαι), "to be able". A ruler from a dynasty is sometimes referred to as a "dynast", but this term is also used to describe any member of a reigning family who retains a right to succeed to a throne. For example, King Edward VIII ceased to be a dynast of the House of Windsor following his abdication. In historical and monarchist references to formerly reigning families, a "dynast" is a family member who would have had succession rights, were the monarchy's rules still in force. For example, after the 1914 assassinations of Archduke Franz Ferdinand of Austria and his morganatic wife Duchess Sophie von Hohenberg, their son Duke Maximilian was bypassed for the Austro-Hungarian throne because he was not a Habsburg dynast. Even since the abolition of the Austrian monarchy, Duke Maximilian and his descendants have not been considered the rightful pretenders by Austrian monarchists, nor have they claimed that position. The term "dynast" is sometimes used only to refer to agnatic descendants of a realm's monarchs, and sometimes to include those who hold succession rights through cognatic royal descent. The term can therefore describe overlapping but distinct sets of people. For example, David Armstrong-Jones, 2nd Earl of Snowdon, a nephew of Queen Elizabeth II through her sister Princess Margaret, is in the line of succession to the British crown; in that sense, he is a British dynast, but since he is not a patrilineal member of the British royal family, he is therefore not a dynast of the House of Windsor. On the other hand, the German aristocrat Prince Ernst August of Hanover, a male-line descendant of King George III of the United Kingdom, possesses no legal British name, titles or styles (although he is entitled to reclaim the former royal dukedom of Cumberland). He was born in the line of succession to the British throne and was bound by Britain's Royal Marriages Act 1772 until it was repealed when the Succession to the Crown Act 2013 took effect on 26 March 2015. Thus, he requested and obtained formal permission from Queen Elizabeth II to marry the Roman Catholic Princess Caroline of Monaco in 1999. Yet, a clause of the English Act of Settlement 1701 remained in effect at that time, stipulating that dynasts who marry Roman Catholics are considered "dead" for the purpose of succession to the British throne. That exclusion, too, ceased to apply on 26 March 2015, with retroactive effect for those who had been dynasts prior to triggering it by marriage to a Roman Catholic. 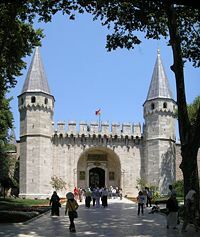 A "dynastic marriage" is one that complies with monarchical house law restrictions, so that the descendants are eligible to inherit the throne or other royal privileges. The marriage of King Willem-Alexander of the Netherlands to Queen Máxima Zorreguieta in 2002 was dynastic, for example, and their eldest child Princess Catharina-Amalia is expected to inherit the Crown of the Netherlands eventually. However, the marriage of his younger brother Prince Friso of Orange-Nassau to Princess Mabel of Orange-Nassau in 2003 lacked governmental support and parliamentary approval. Thus, Prince Friso forfeited his place in the order of succession to the Dutch throne, lost his title as a "Prince of the Netherlands", and left his children without dynastic rights. 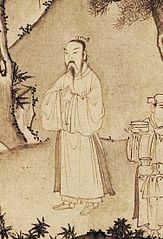 Zhao Kuangyin, the Emperor Taizu of Song, was the founder of the Song dynasty in China. 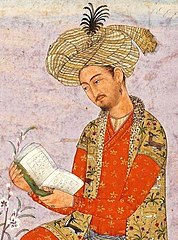 Babur, of the Timurid dynasty, was the first emperor of the Mughal Empire in India. 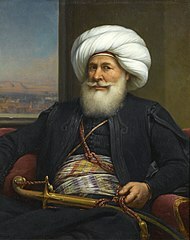 Muhammad Ali Pasha, founder of the Muhammad Ali dynasty, ruled Egypt and Sudan from 1805 to 1848. 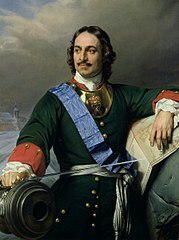 Peter I, from the House of Romanov, was the first Russian monarch to rule as emperor. Constantine XI Palaiologos, of the Palaiologos dynasty, was the final monarch of the Byzantine Empire. Pedro II, from the Most Serene House of Braganza, ruled Brazil from 1831 to 1889. Kalākaua, founder of the House of Kalākaua, was the penultimate sovereign ruler of the Kingdom of Hawaiʻi. Asahito, the Emperor Higashiyama, from the Imperial House of Japan, was the 113th Japanese emperor. Christian I, from the House of Oldenburg, served as king of Denmark, Norway and Sweden. Aisin Gioro Xuanye, the Kangxi Emperor, of the Qing dynasty, was the longest reigning emperor of China. Mohammad Shah Qajar was a king of Persia from the Qajar dynasty. 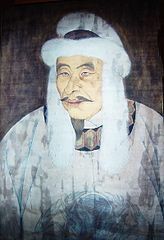 Yi Dan, King Taejo of Joseon, ruled Korea from 1392 to 1398 as the first king of Joseon. 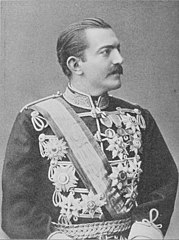 Nikola I, of the Petrović-Njegoš dynasty, ruled Montenegro from 1860 to 1918. 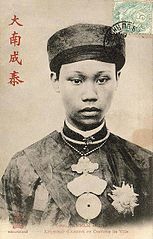 Nguyễn Phúc Bửu Lân, the Emperor Thành Thái, of the Nguyễn dynasty, was emperor of Vietnam from 1889 to 1907. 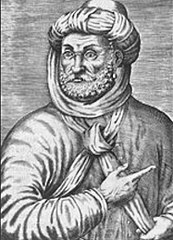 Ahmad al-Mansur, of the Saadi dynasty, was sultan of Morocco from 1578 to 1603. Napoleon I, from the House of Bonaparte, ruled over France and Italy. Thibaw Min was the last monarch of the Konbaung dynasty in Myanmar. 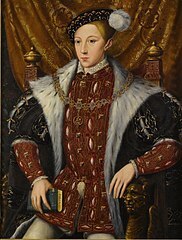 Edward VI, from the House of Tudor, reigned as king of England and Ireland from 1547 to 1553. Ranavalona I, of the Hova dynasty, was queen regnant of Madagascar from 1828 to 1861. 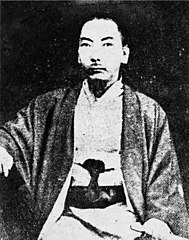 Shō Tai, of the Second Shō dynasty, was the final sovereign ruler of the Ryukyu Kingdom. 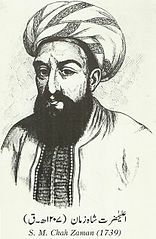 Zaman Shah Durrani Sadozai, of the Durrani dynasty, ruled Afghanistan from 1793 to 1800. Wanyan Aguda, the Emperor Taizu of Jin, was the progenitor of the Jin dynasty in China. 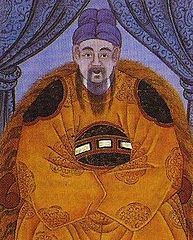 Trần Thuyên, the Emperor Trần Anh Tông, of the Trần dynasty, ruled Vietnam from 1293 to 1314. 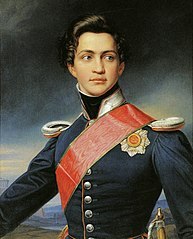 Otto I, from the House of Wittelsbach, was king of Greece from 1832 to 1862. 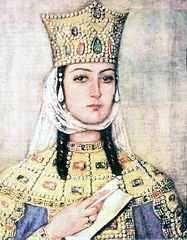 Tamar was queen regnant of the Bagrationi dynasty in Georgia. 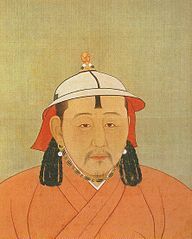 Khayishan, the Külüg Khan and Emperor Wuzong of Yuan, was the seventh khagan of the Mongol Empire and the third emperor of the Yuan dynasty in China. 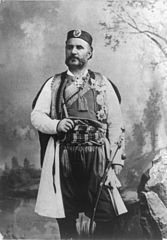 Milan I, of the Obrenović dynasty, ruled Serbia from 1868 to 1889. 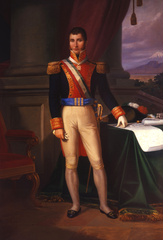 Agustín I was the first and only Mexican emperor from the House of Iturbide. 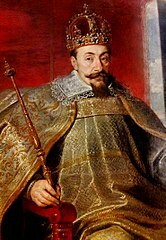 Sigismund III, from the House of Vasa, was monarch of Poland, Lithuania, Sweden and Finland. Leopold I, from the House of Habsburg, was emperor of the Holy Roman Empire, and king of Hungary, Croatia and Bohemia. Wang Jeon, King Gongmin of Goryeo, ruled Korea from 1351 to 1374 as king of Goryeo. Wilhelm I, from the House of Hohenzollern, was the first emperor of Germany. a single realm spanned/spans across more than one geographical region (for example, the Tang dynasty ruled over China proper, Dzungaria, the Tarim Basin, Hainan, the northern portions of the Korean Peninsula and Vietnam, as well as parts of Central Asia, the Mongolian Plateau, Siberia and Afghanistan). Muhammad Ali dynasty (AD 1805–1953) – Also called "Alawiyya dynasty"
Muhammad Ali dynasty (1821–1885) – Also called "Alawiyya dynasty"
Qutlugh-Khanids (AD 1222–1306) – Successor to Qara Khitai (Western Liao dynasty); Also called "Kirmanid dynasty"
Imperial House of Japan (皇室（こうしつ）) (660 BC (legendary) – present) – Also called "Yamato dynasty"
Pagaruyung dynasty (AD 1773–present) – Ruling house of Negeri Sembilan (Non-sovereign); Also called "House of Yamtuan Raden"
White Rajahs (Raja Putih Sarawak) (AD 1841–1946) – Kingdom of Sarawak; Also called "Brooke dynasty"
Theemuge dynasty (AD 1117–1388) – Also called "Lunar dynasty"
Sealand dynasty (1732–1460 BC) – Also called "Dynasty II of Babylon"
Kassite dynasty (1600–1155 BC) – Also called "Dynasty III of Babylon"
Dynasty IV of Babylon (1155–1025 BC) – Also called "Second dynasty of Isin"
Dynasty V of Babylon (1025–1004 BC) – Also called "Second Sealand dynasty"
Dynasty VI of Babylon (1004–985 BC) – Also called "Bῑt-Bazi dynasty"
Dynasty VII of Babylon (985–979 BC) – Also called "Elamite dynasty"
Dynasty IX of Babylon (943–729 BC) – Also called "Dynasty of E"
House of Lambakanna II (AD 691–1017) – Also called "House of Manavanna"
House of Habsburg (1278–1780) – Also called "House of Austria"
Arnulfings or Pippinids, mayors of the palaces. Ancestors of the Carolingians. House of Dulo Bulgaria (390–503) A Nominalia of the Bulgarian khans genealogy claims that the Dulo clan is descended from Attila the Hun. House of Knýtlinga (AD 916–1042) – Also called "House of Denmark" and "Jelling dynasty"
House of Knýtlinga (AD 1013–1014, AD 1016–1042) – Also called "House of Denmark" and "Jelling dynasty"
Salian dynasty (Salier) (AD 1024–1125) – Also called "Frankish dynasty"
House of Knýtlinga (AD 961–995, AD 1000–1015, AD 1028–1035) – Also called "House of Denmark" and "Jelling dynasty"
As of 2019, there are 44 sovereign states with a monarch as head of state, of which 22 are ruled by dynasties. Though in elected governments, rule does not pass automatically by inheritance, political power often accrues to generations of related individuals in republics. Eminence, influence, tradition, genetics, and nepotism may contribute to the phenomenon. Family dictatorships are a different concept in which political power passes within a family because of the overwhelming authority of the leader, rather than informal power accrued to the family. Look up dynasty in Wiktionary, the free dictionary. ^ a b Oxford English Dictionary, 1st ed. "dynasty, n." Oxford University Press (Oxford), 1897. ^ Oxford English Dictionary, 3rd ed. "house, n.¹ and int, 10. b." Oxford University Press (Oxford), 2011. ^ Liddell, Henry George & al. A Greek–English Lexicon: "δυναστεία". Hosted by Tufts University's Perseus Project. ^ Liddell & al. A Greek–English Lexicon: "δυνάστης". ^ Liddell & al. A Greek–English Lexicon: "δύναμις". ^ Liddell & al. "δύναμαι". ^ a b Statement by Nick Clegg MP, UK parliament website, 26 March 2015 (retrieved on same date). ^ "Monaco royal taken seriously ill". BBC News. London. 8 April 2005. Retrieved 27 January 2013.